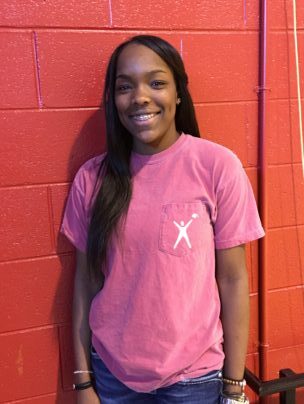 Liberal senior basketball player Jada Mickens is the Mead Lumber Athlete of the Week. She leads 5-0 #10 Liberal at 15 points and seven rebounds per game. Mickens is in her fourth varsity season with the Lady Redskins. She averaged 11 points and eight rebounds as a junior, nine points and eight rebounds per game as a sophomore, and 11 points and four rebounds as a freshman. She was a first team all WAC volleyball player this fall and plans on participating in track in the spring. She says she plans on playing basketball in college but has not made her school choice official. She and the 5-0 Lady Redskins play at Northwest Classen January 3 and January 6 at home against Hays.